The Listening Array is a single-channel video, a site-specific video installation and a series of photographs. 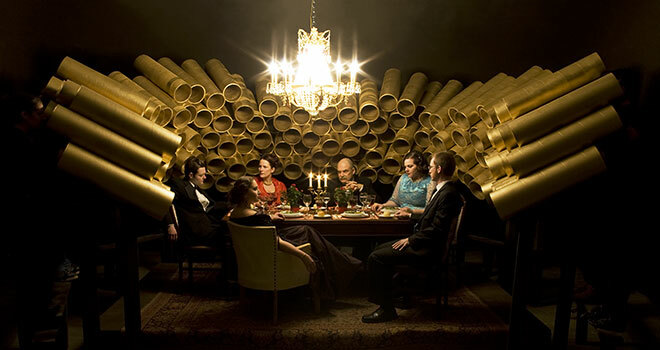 A group of people observe a formal dinner party through a structure of gold pipes. The party guests are seemingly unaware of the group of people observing them through the array of pipes. The soundtrack is the Russian funeral march, Вы жертвою пали (You Fell Victims) .